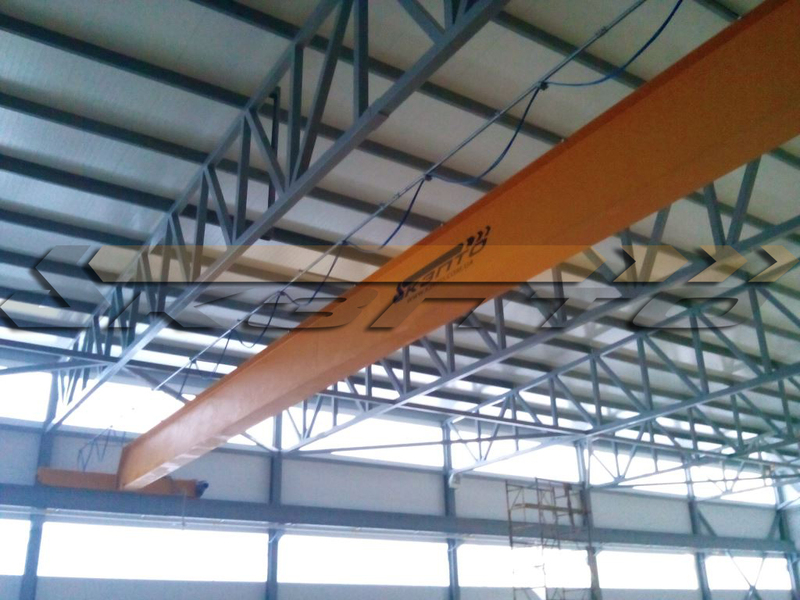 Plant for the production of packaging equipment for the new assembly hall was delivered and installed the overhead crane lifting capacity 5,0t support spans 27,0m with reduced construction height. 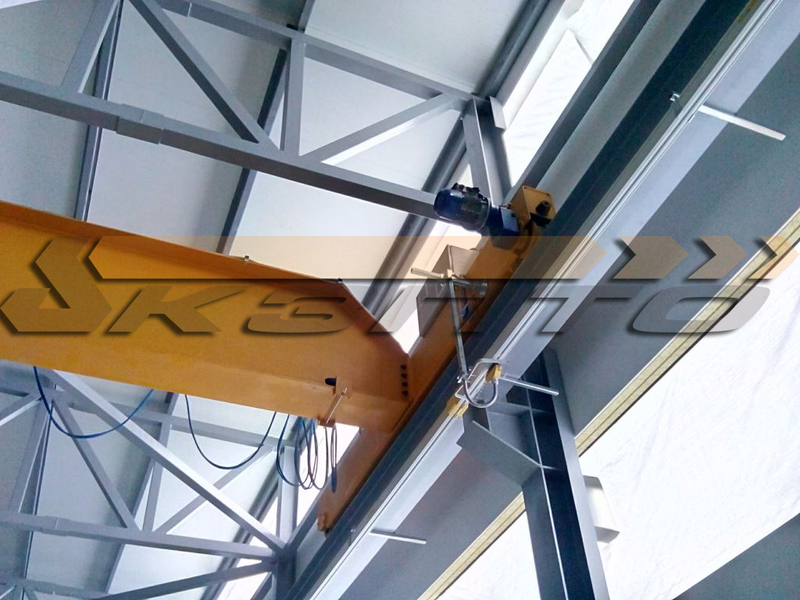 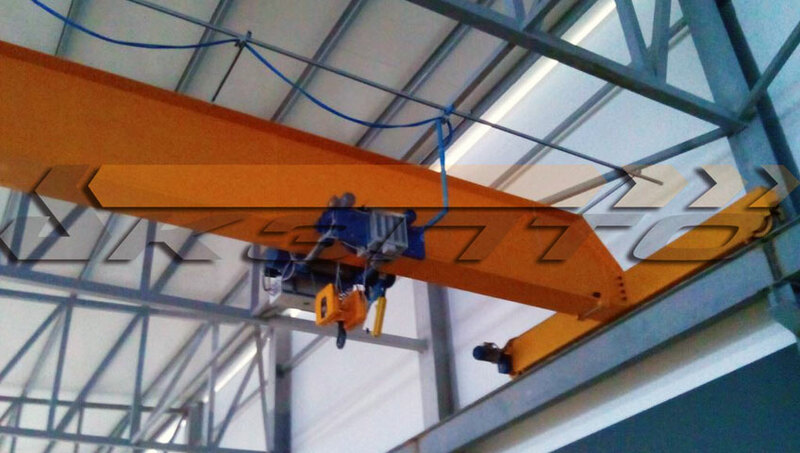 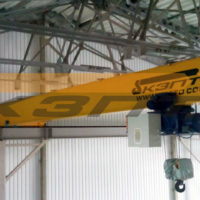 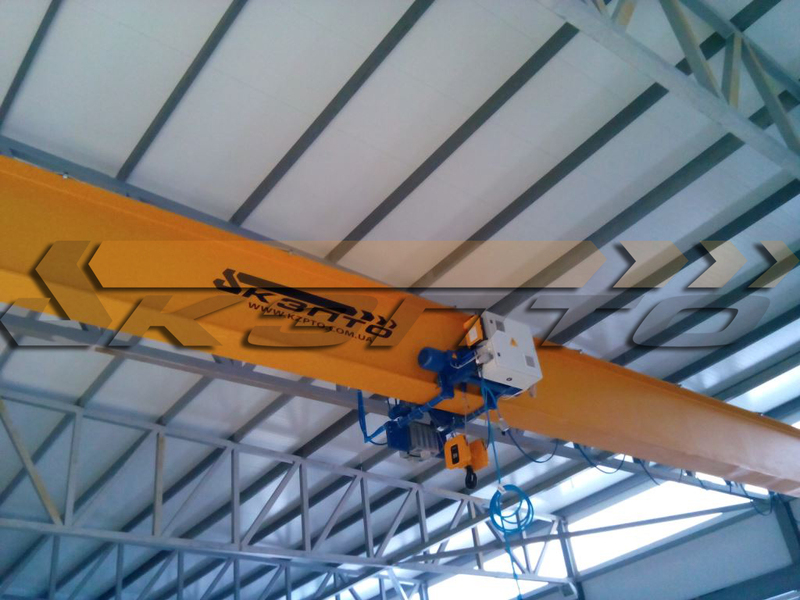 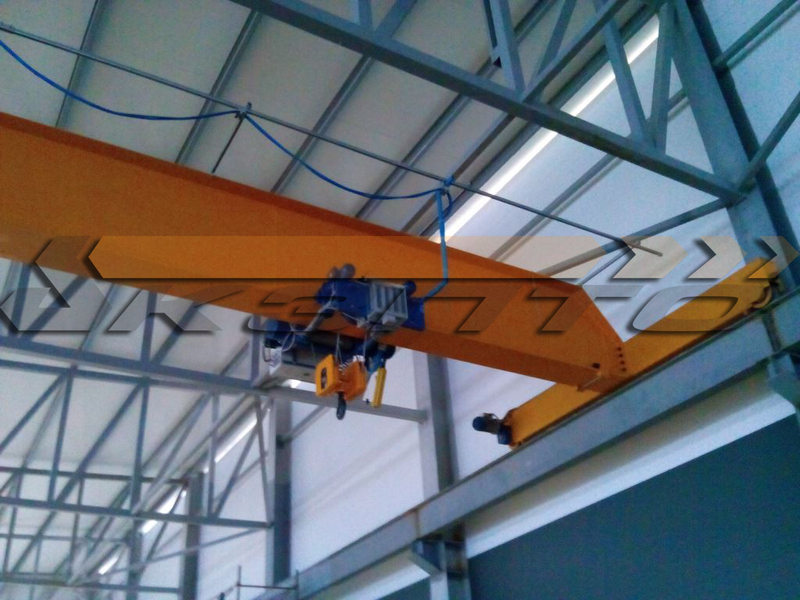 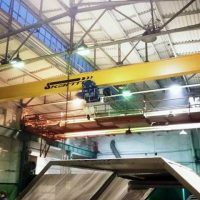 At the initial stage of negotiations the basic requirement of the customer was made - the minimum height of the overhead crane construction and high quality equipment. 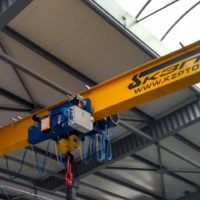 The design of the Kiev VET department of the plant in conjunction with the Bulgarian colleagues Podem AD crane engineering developed in accordance with the "Rules of construction and safe operation of cranes", which was made of the crane bridge KMO-5,0-26,075-7,0 A5-box type. 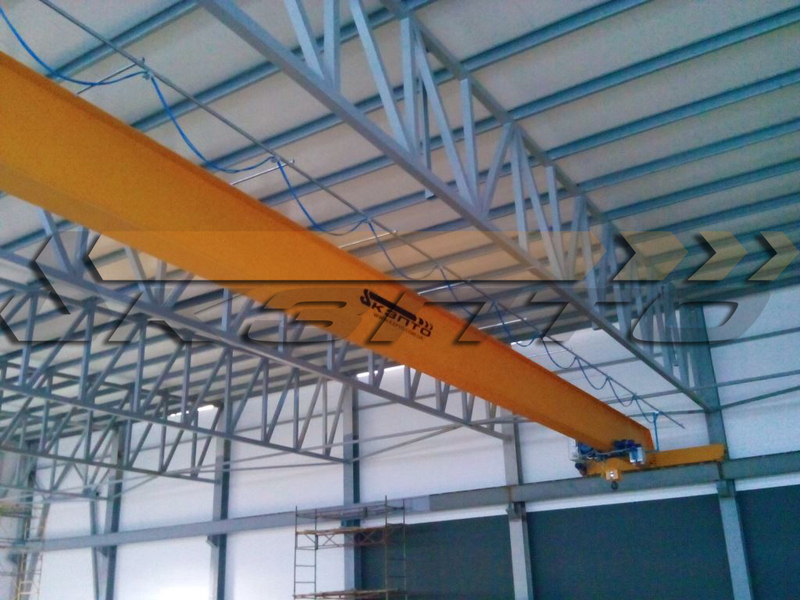 The height of the span of the crane bridge was Hbridge = 1150mm. 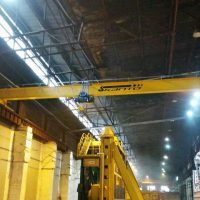 - the end of the beam G1 200-3700-V1 production PodemCrane AD Bulgaria. 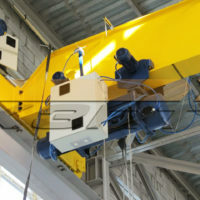 The smooth running of the crane, hoist and move up-down frequency inverters provide a braking resistors production Schneider Electric (France). 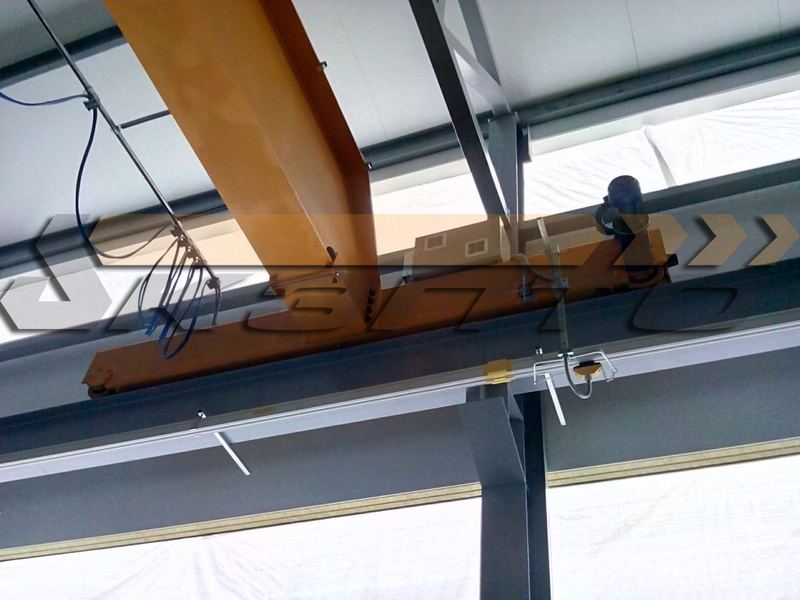 Power hoist provides a current supply to the metal profile such as Festoon, tap the power along the entire path length of 60m trolley current lead type Mobilis (France) with a rated current of 60A. 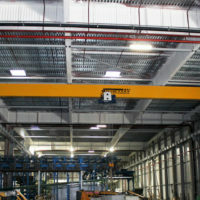 Manufacturing, delivery and installation of the crane have been completed within 45 calendar days.